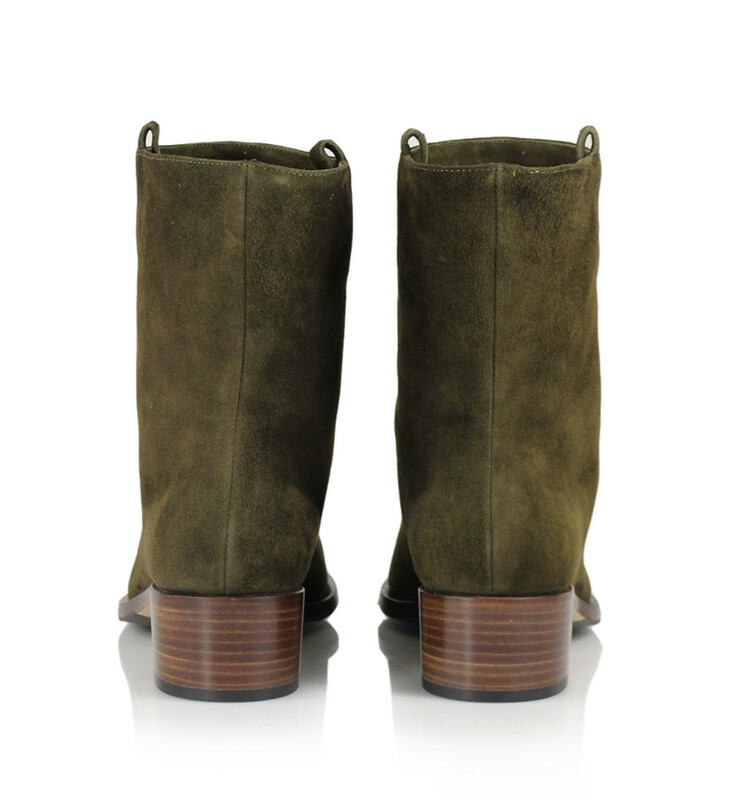 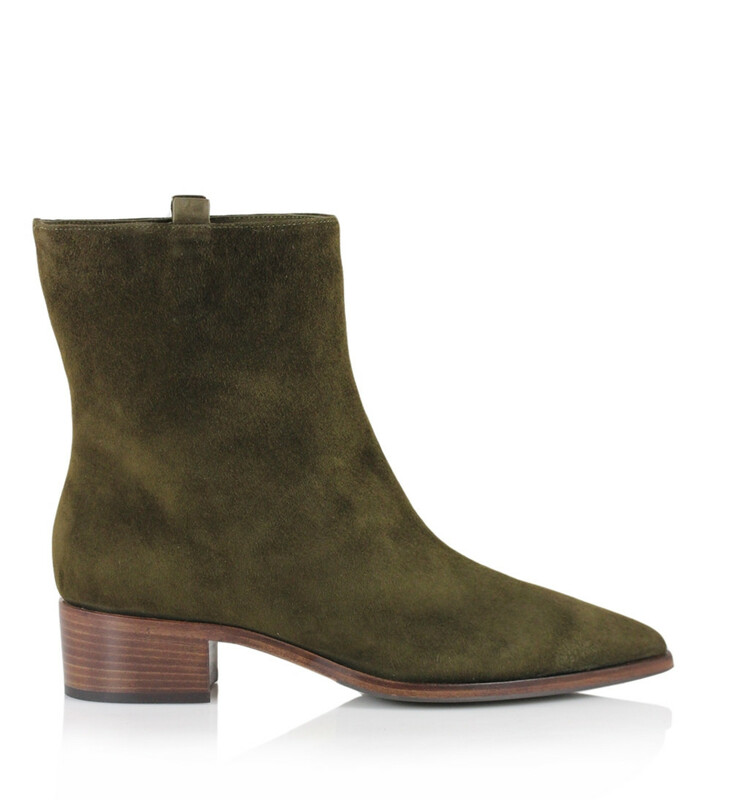 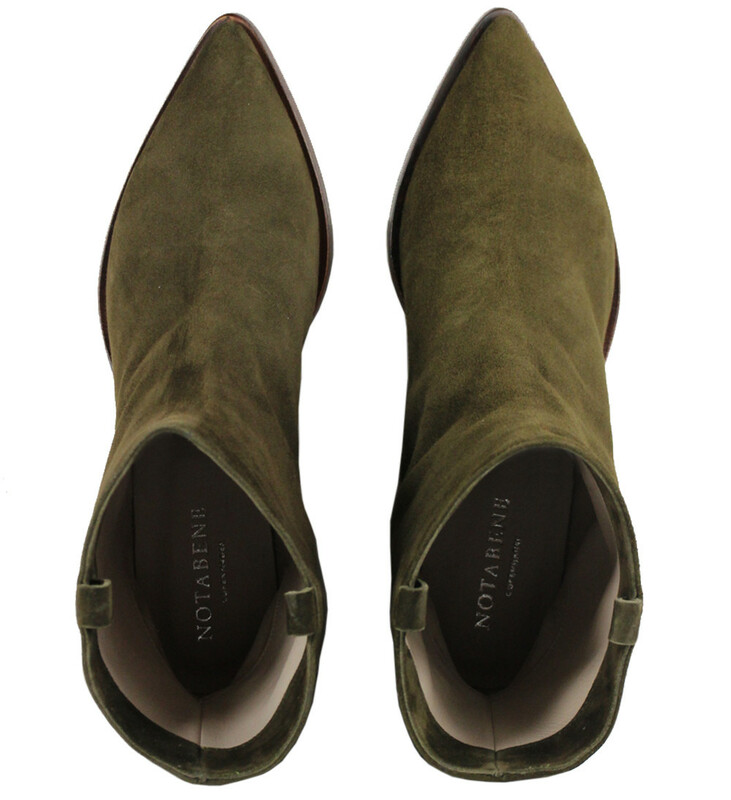 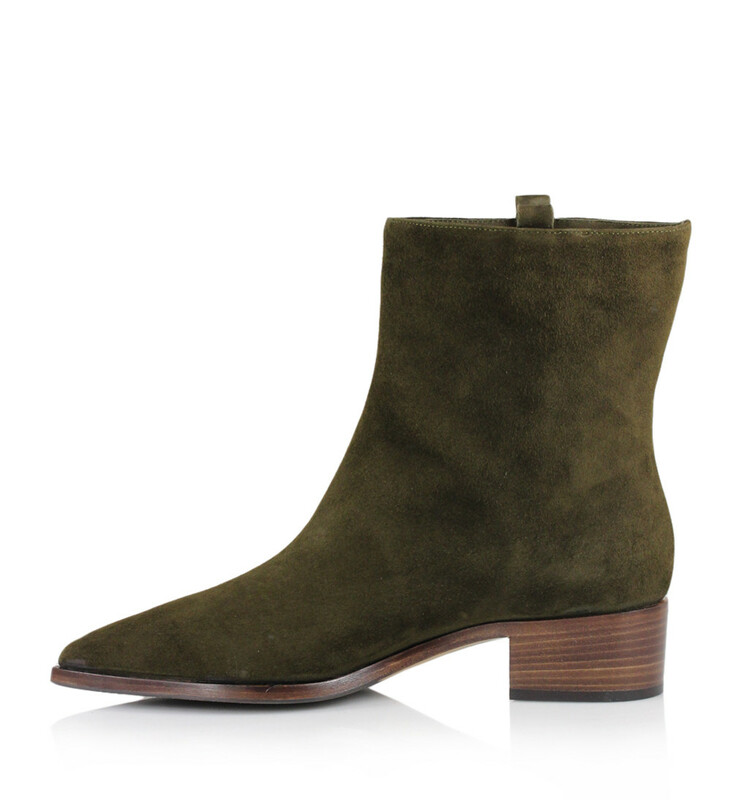 Dark green short boot crafted in suede with a pointy toe, a low heel and a broad shaft. 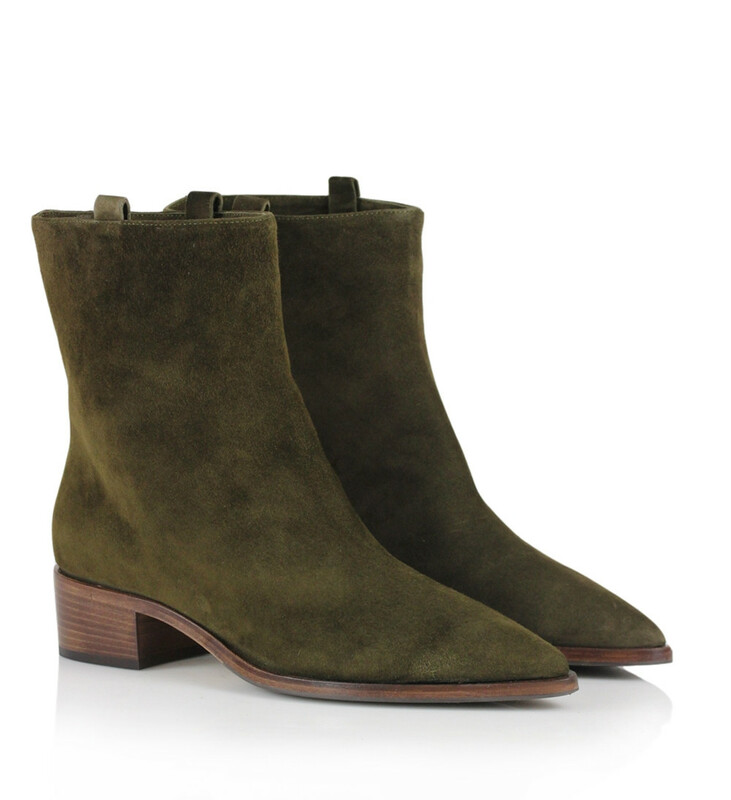 The Evans boot is casual yet elegant, which make it the perfect boot for the season. 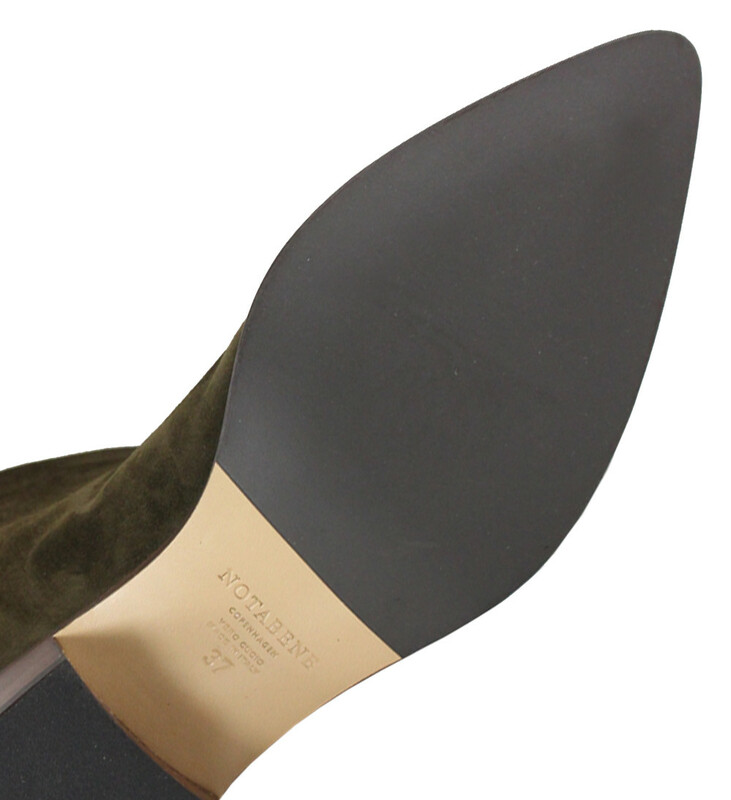 The broad shaft gives a beautiful shape to the legs especially when paired with a skirt.